Priced below KBB Fair Purchase Price! Alloy Wheels *, Backup Camera *, Bluetooth*, Power Mirror Package*, Power Package*, FREE CARFAX, 4WD, 3.42 Rear Axle Ratio, Remote keyless entry, Tow/Haul Mode. Hambelton LaGreca Super Center WWW.hamlag.com. 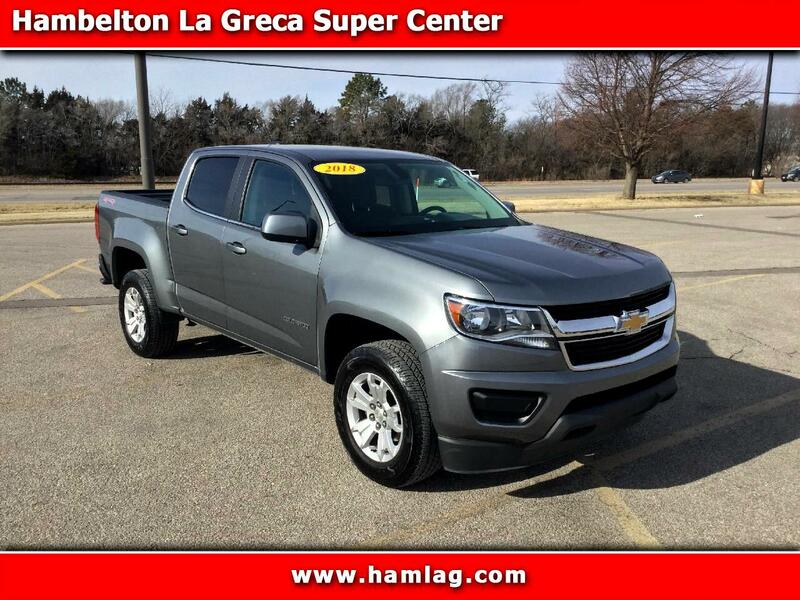 Blade Silver Metallic 2018 Chevrolet Colorado LT 4D Crew Cab V6 4WD 8-Speed Automatic Odometer is 2143 miles below market average! Excellent Financing Available! SAVE $1000'S HERE! ~~~ AGGRESSIVELY PRICED AND BEST VALUE!! !~~~ CALL 1-855-948-3325 ~~~ WWW.HAMLAG.COM ~~~ YOU CAN SHOP EVERYWHERE BUT YOU'LL WANT TO BUY HERE! DON'T PAY TOO MUCH AT THOSE HIGH OVERHEAD DEALERS, TAKE THE SHORT DRIVE TO DERBY TO SAVE $1000'S! Sales Tax, Dealer Documentary Fee, Finance Charges, are additional to the advertised price.